Are You Making This Weight Loss Mistakes? Is it true that women have higher tendency to get Fibromyalgia Than Breast Cancer? Well, read this great case study to find out yourself. Many experts believe fibromyalgia is triggered by a physical or emotional trauma— a car crash, a divorce, a sexual assault—that sends the body into fight-or-flight mode. But even something as simple as Emily’s twist of her head can bring it on. 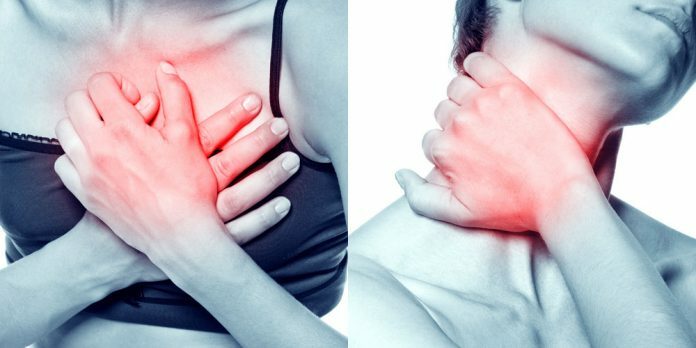 “Normally, the sympathetic nervous system turns on to prepare the body for a stressful situation, tightening the muscles and connective tissue to increase their strength, then shutting off when the threat is gone,” says Ginevra Liptan, M.D., author of The FibroManual: A Complete Fibromyalgia Treatment Guide for You and Your Doctor. But with fibromyalgia, the brain gets stuck and the stress response never stops, like a smoke alarm sounding without a fire. Obese fibromyalgia patients report more medical problems, take more medications, and are more prone to depressive symptoms than patients of a healthier weight. Over time, a chronically activated sympathetic nervous system can cause chaos throughout the body, keeping muscles tense (leading to pain and tenderness), preventing deep sleep, and ultimately prompting pain-sensing nerves to crank up their signals. With well-recognized conditions like cancer and diabetes, doctors have tools like biopsies and blood glucose tests to help make a concrete diagnosis. With fibromyalgia, many doctors are still using criteria that originated in 1990, which calls for them to press on 18 spots (including specific points on the neck, elbows, back, and knees). “If the patient is tender in 11 of the 18 spots, and other causes have been ruled out, you diagnose them with fibromyalgia,” says Dr. Liptan. In 2010, the American College of Rheumatology stopped recommending the tender-spot exam because of its subjective nature (a patient may feel sore in 13 spots one day and only 10 the next) and added “fatigue” and “brain fog” to the criteria—along with allover pain lasting three to six months that can’t be explained by another diagnosis. Once a diagnosis is finally made—studies show that the process usually takes between two and 10 years—patients must still contend with the fact that “some people mistakenly believe fibromyalgia is a psychological disease and that it’s ‘all in your head,’ ” says Tarvez Tucker, M.D., professor of neurology at Oregon Health and Sciences University in Portland. Although the role of estrogen in pain syndromes is complex, higher levels of estrogen during pregnancy can be protective against childbirth pain. In contrast, when estrogen levels are low, such as at the onset of the menstrual cycle or in menopause, many women experience more sensitivity to pain. Not surprisingly, fibromyalgia often shows up in women between ages 40 and 55. And sufferers still in their childbearing years often say their pain worsens just before and during their periods, when estrogen nosedives. There’s a genetic component too: Fibromyalgia tends to run in families. A handful of medications attempt to dull pain signals in the brain, but they don’t seem to improve other fibromyalgia symptoms like fatigue or brain fog. Antidepressants may help, because the pain and mood centers of the brain overlap, so treating the latter, even in depression-free patients, can sometimes improve pain. Try these strategies for coping. Get moving. A recent Annals of Rheumatic Diseases review of nearly 400 studies found that exercise reduced pain in people with fibromyalgia more than medications or other treatments. Gentle cardio like walking eases pain, improves sleep, lessens fatigue, and helps you shed pounds; weight-bearing activity strengthens muscles; and stretching increases range of motion. Find a release. Fibromyalgia can cause painful knots in muscles and fascia (the connective tissue around muscles). Myofascial release is a technique in which a practitioner slowly stretches your fascia, similar to stretching a piece of taffy. This can speed healing and lower inflammation. To find a provider, go to mfrtherapists.com. Cut out certain foods. Dairy and gluten can be highly inflammatory for some people (eggs, corn, and soy can too). Eliminate them for three to six months to see if there’s any improvement and to help you detect what may be a trigger. Just breathe. Light forms of yoga help your muscles relax. If you have fibromyalgia, avoid variations that have “power” or “hot” in the name—these types can actually aggravate symptoms. 6 Free Guides Worth $99! iWomanly is an online magazine targeting weight loss, health and beauty. In iWomanly, you will discover the latest weight loss, health, beauty, skin care and lifestyle secrets and tips of the world been unearth.